**Individual tracks available on iTunes. 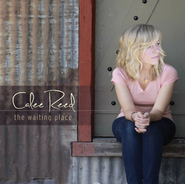 I haven't heard Calee Reed's music before so I was excited to listen to this CD. I loved it! For me, it got better and better as I kept listening and the last three songs are my favorites. "What Heaven Feels Like" is a song she wrote shortly after her mother passed away. "Sunshine" is fun and upbeat with parts of "There is Sunshine in My Soul." I love "Come Unto Christ," which was quite popular last year as it was part of the youth theme and I never get tired of hearing it! I liked the different sounds she has since she sometimes sounded like a pop singer and other times like she was singing in church. Her voice is clear and strong and I can listen to her over and over. I love all the songs on her CD and have found myself singing many of her songs throughout the day. I would recommend this to anyone looking for an uplifting and inspirational CD! This lovely album by a talented new artist shares beautiful messages combined with a nice pop sound. The songs carry a strong Christian message about the power of Jesus Christ to help us be 'enough', find miracles in our lives, and Come Unto Christ. The music is fun and upbeat with a couple of slower songs to balance things out (Miraculous and Come Unto Christ). I especially liked the song, I Am Enough, which refers to God loving us despite our imperfections and need to change. 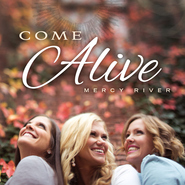 The combination of a nice voice, beautiful songs, and great messages makes this a very pleasant album, especially if you like Cheri Call and Hilary Weeks, as this CD is reminiscent of their style. A lighter, upbeat inspirational album. Calee Reed is a new artist to me and I'm looking forward to seeing what she produces next. I absolutely love the cover for this album, especially since it fits the overall message and title. I liked all the songs from What Heaven Feels Like, although some I liked more than others. I Am Enough reminded me a little of Fergie from Black Eyed Peas. Then Possible and Sunshine are reminiscent of Colbie Caillat. Miraculous, What Heaven Feels Like, and Come Unto Christ are slower paced while the rest of the songs are more upbeat. Calee's voice has a slight edge to it and I feel she could definitely rock out if she wanted to and it would fit her voice. Although, on Miraculous her voice is smoothed out and beautiful, which fits the song. I liked all the songs on the album. There seemed to be some issues with the mixing though. Some parts of some of the songs had the artist's voice so low that I couldn't hear her without turning the volume up quite a bit. Then the accompaniment/band seemed slightly off in parts, not in the beat, just that the music didn't seem as full as I wanted to hear it in balance to Calee's voice. My favorite song would have to be What Heaven Feels Like, and a few of the others I'll be singing along to on Sundays when I listen to inspirational music. The album is overall a good release and I'd recommend it to those who enjoy listening to Christian music that's on the lighter side.